The video to the right shows how I was able to get a local business ranked - I have been successful with dozens of businesses - I can do it for you! 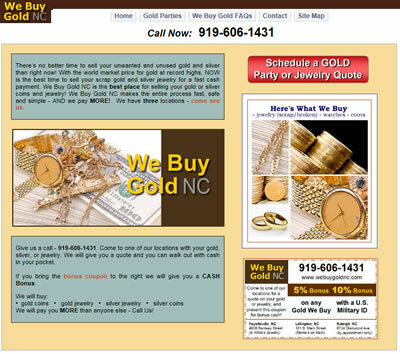 I have clients in several states - I can get results for your business in the Raleigh area. Take a minute and read some of the ABConsulting client references. Larger SEO companies out there do good work - they just charge FAR TOO MUCH MONEY! Larger SEO companies will push you to use all kinds of techniques that will only bring marginal results. They get you on a monthly contract, then do the minimal amount of work to keep you happy. Nobody can guarantee you the top spot on Google, but there are very specific things that can be done to get your site better Google rankings - on the first page of Google for important keywords. I can HELP you get rankings on Google in the Raleigh area and more traffic using other localities in the Raleigh area. Read the references on the right side of this page - you can call many of my clients - THEY will tell you that I can HELP you get ranked on Google. There are more references all over my site. The larger SEO companies will use the same techniques and charge you MORE. The larger SEO companies will not give you personal attention. My clients will tell you - I typically give you 24 hour turn-around. I do SEO in phases. It typically takes 2-3 months to get your site where it is on the first page of Google for several keyword phrases, but I usually get visible results within 30 days. The larger SEO companies want you to pay $1,000's monthly - we offer affordable SEO services. We will work within your budget - tell us what YOU can afford and we will do what we can within that budget. There are many things I will ask a client to do to help in Google ranking including GoogleAds (PPC), E-mail campaigns, and consistent Press Releases. Getting ranked in Google is based on dozens of variables - having an integrated online strategy is the best way to achieve solid search engine rankings. There are other factors I hear larger SEO companies talking about: backlinking, social media, page ranking, etc. I think you can waste a lot of time and money chasing after these and many other things. I have top Google rankings on pages with terrible page ranking numbers and NO backlinks. Keyword density, page relevance, and backlinks through press releases - it works and it is affordable. ABConsulting is located in Fuquay Varina (just south of Raleigh,NC) and has serviced a few small businesses in the Baltimore area. ABConsulting has clients all around North Carolina: Raleigh, Durham, Fayetteville, Wilmington, Charlotte, Greensboro...and from all around the USA - notably Atlanta and Athens GA, Dallas and Houston TX, Los Angeles CA, Baltimore MD, Chicago IL, Harrisburg PA and Richmond VA. I can certainly help your business in the Baltimore area. Give me a call and let's talk. ABConsulting has been working with us for 8 years. 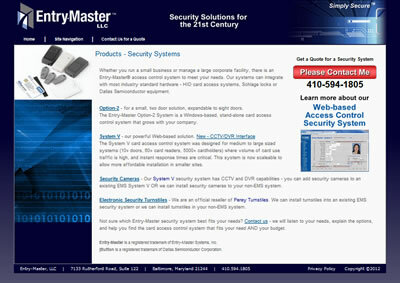 We credit their work for our tremendous web presence and weekly lead generation from our site. The press release strategy Al Baker and his team employed for us has given us the best ROI of any marketing effort we have undertaken. My site is on Google everywhere. The phone is ringing like crazy and I am happy. More calls, more customers, more money.